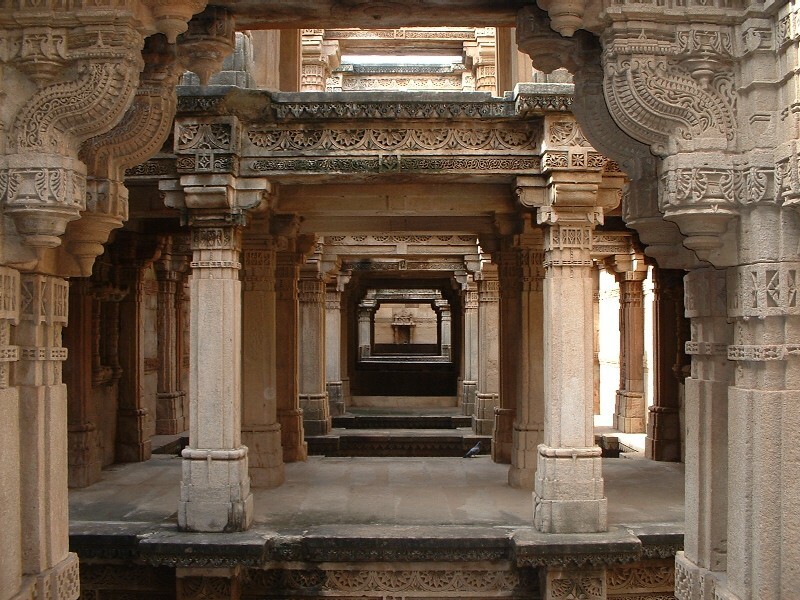 AdalajStepwell is a historic stepwell whose architectural designs are the major source of attraction for the visitors. 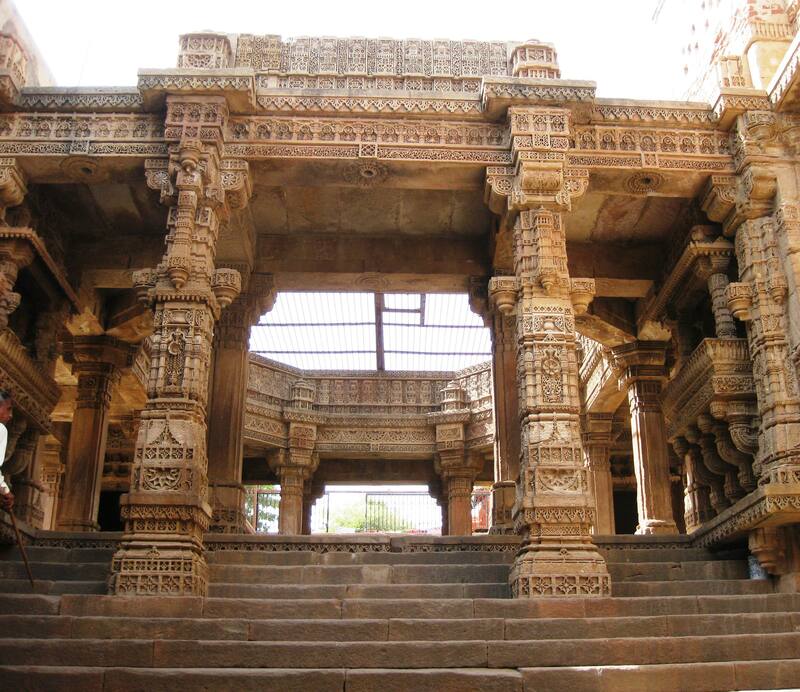 It is the only stepwell of the state which comes with 3 entrance stairs. It is an octagonal shaped stepwell whose architectural pattern is still a subject of study among the researchers. It is a finest specimen which represents the fusion of Indo Islamic influences in terms of design and architecture. These three intricately built stairs jointly merged with first storey which represents a vast square shaped platform in the underground of this well. This underground well comprises of two most essential structures that have been carved out from the single rock which are commonly known as KalpVriksha and Ami Khumboor. It is not possible for thesunlight to directly penetrate into the interior parts of the well and it is the main reason why there is a sharp temperature difference of about six degree between the exterior and interior region of this stepwell. Apart from collecting water, the well is also used for worshipping the deities engraved on the walls by the local villagers that time. The construction of this stepwell was actually undertaken by Rana Veer Singh who was the erstwhile ruler of Vaghela dynasty of the region which was previously known to be as DandaiDesh. After his death, the construction of the stepwell was completed by his wife Rani Rudabaiin the year of 1499. This well was mainly constructed with the purpose of enabling the local villagers to collect water but was also used to be the resting and meeting place of women and travelers to gossip and to take shelter. According to legends, after the death of the Rana, Mohammad Begada impressed by the beauty of Rani Rudabai proposed her for marriage. The queen agreed to the proposal with the condition of helping her to complete this stepwell. Once the completion of the well was over, she jumped inside the well and committed suicide. But Begada decided not to destroy the well as it had deities engraved inside the walls. The walls of this historic stepwell had been artistically carved with different mythological scenes together with that of the images of musicians, dancers, kings and that of buttermilk churning women. 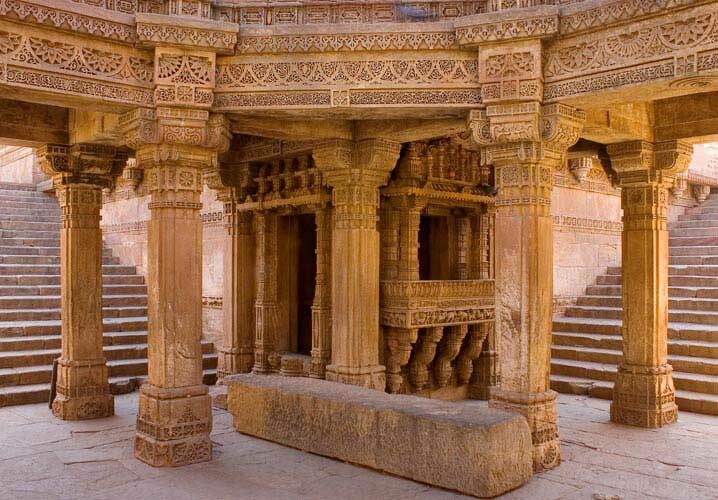 This well known stepwell is based in a small village of Adalaj which is situated at a distance of about 18 km from the city of Ahmedabad and falls within the district of Gandhinagar. The place is well connected with rail and road networks of cities like Ahmedabad. The ideal period to visit this popular stepwell is from October to March when the climate is quite pleasant and an atmosphere of festivity is prevailing upon the state.